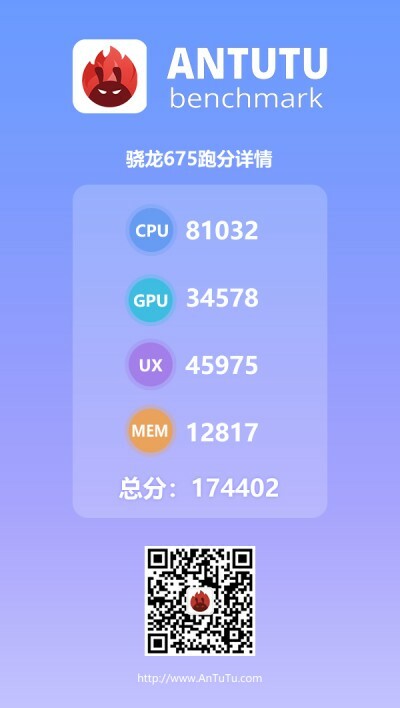 An unknown device has appeared on AnTuTu, sporting the new 11nm Snapdragon 675 chipset. It scored 174K, which is a lot higher than the 155K we got with the 10nm Snapdragon 710-powered Oppo RX17 Pro. What's more interesting than the chip itself is the phone that's wielding it. Only two phones are using the Snapdragon 675 - the yet-to-be-announced Moto P40 and the HiSense U30, so the reasonable guess is that the score is from the latter. 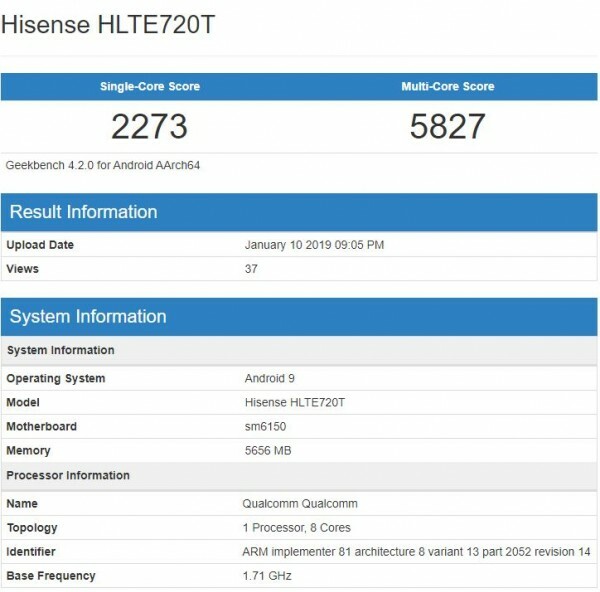 The assumption is substantiated by an unearthed Geekbench listing of the HiSense U30 with Android 9 Pie and 6GB of RAM. The phone achieved a 2.2K single-core score and 5.8K multi-core result, which is inline with what the Oppo RX17 Pro scored in our testing. The Snapdragon 675 is an interesting chip, compared to its closest peers - the 670 and 710. The 675 has two 2.0GHz Kryo 460 (Cortex-A76) and six 1.7GHz Kryo 460 (Cortex-A55) cores and is built on a 11nm process. The 670 has two 2.0GHz Kryo 360 (Cortex-A75) and six 1.7GHz Kryo 360 (Cortex-A55) cores and is built on a more efficient 10nm process. The 710 is also a 10nm chip and has two 2.2GHz Kryo 360 (Cortex-A75) and six 1.7GHz Kryo 360 (Cortex-A55) cores.